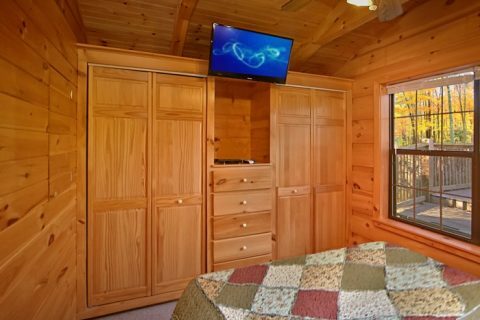 Enjoy "Wonderland," a 1-bedroom cabin near Tanger Outlet Mall in the Pigeon Forge, on your vacation getaway or weekend shopping retreat in the scenic Tennessee Smoky Mountains. 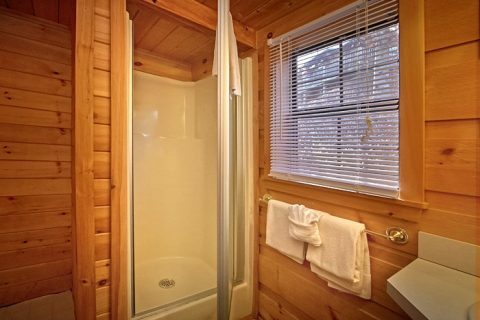 This 1-bedroom cabin near Pigeon Forge offers vacationers a cozy cabin that sleeps up to 4 guests and boasts a convenient location in the Paradise Ridge area, which rests only minutes away from Tanger Outlet Mall and nearby downtown Pigeon Forge. 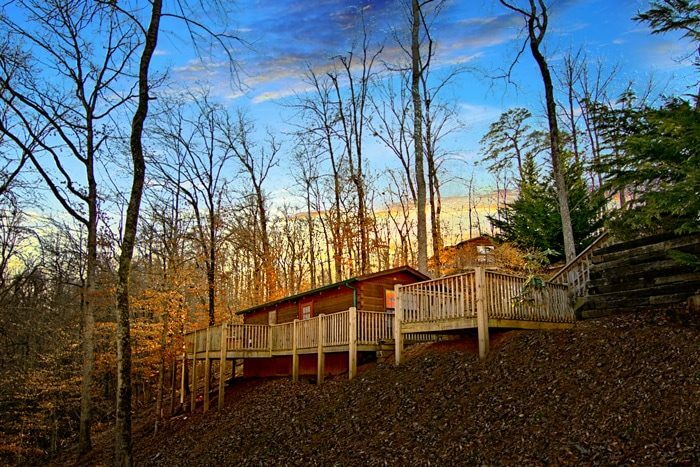 With mini-golf courses, go-kart tracks, dinner shows, and more all within minutes of your cabin, a "Wonderland" of fun and excitement waits on your Smoky Mountain cabin vacation. 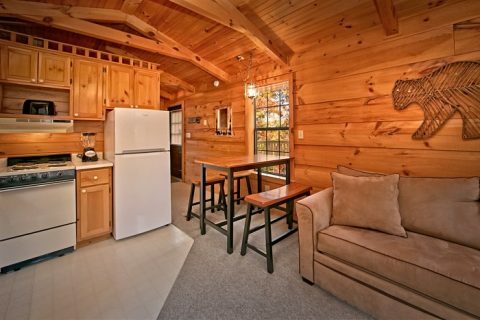 Couples and small families searching for affordable cabins in the Smokies will find this cabin near Tanger Outlet very accommodating. 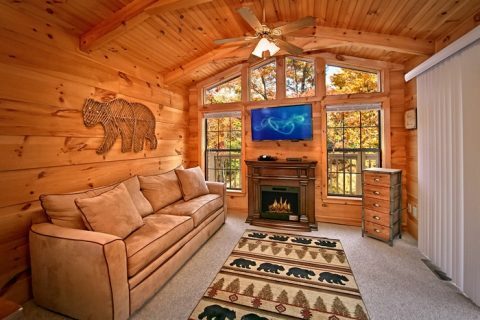 The living area offers a 40" flat screen television, cozy electric fireplace, and sleeper sofa, creating an inviting space to enjoy a movie together. Save on meal costs by cooking in your cabin's cozy dine-in kitchen or enjoy steaks, kebabs, burgers, and more of the charcoal grill. 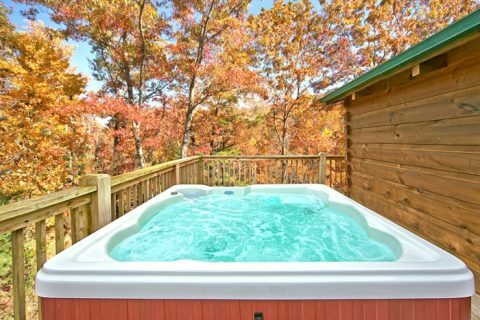 After dinner, spend relaxing moments back at your cabin in the soothing year-round hot tub! 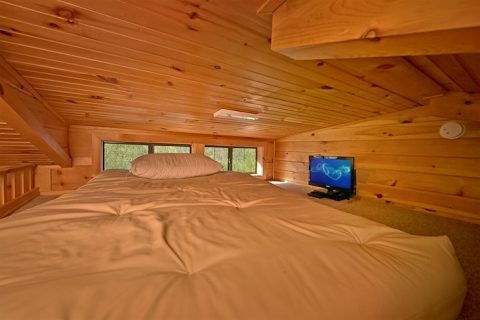 When it's time to turn in for the night, the king-size bedroom with flat screen television and full bath invite guests to get some much-needed rest, while a custom sleeping loft with mattress, a television, and DVD player provides the perfect space for kids to enjoy movies before going to bed. 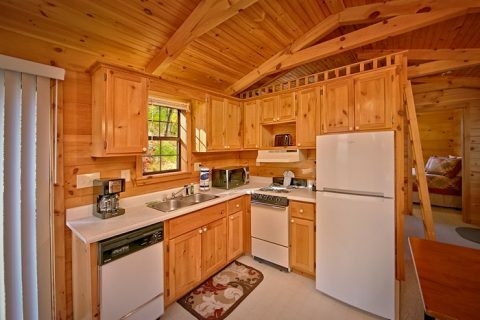 On a multi-family vacation and looking for cabins near Pigeon Forge that are close together? 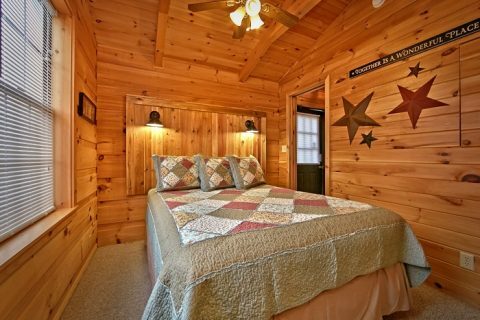 "Wonderland" lies within walking distance of 5 other beautiful cabins: "Where the Magic Happens," "A Long Kiss Goodnight," "Enchanted Moment," "Secret Rendezvous," and "Cloud 9." 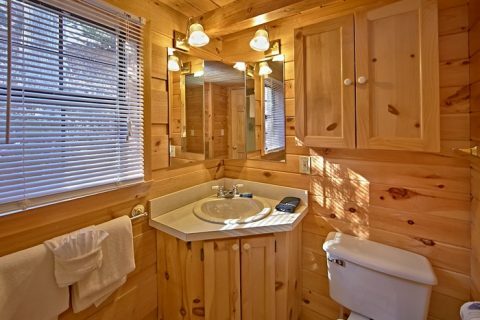 Step out of the hotel box and into an extraordinary cabin vacation on your next Smoky Mountain getaway! 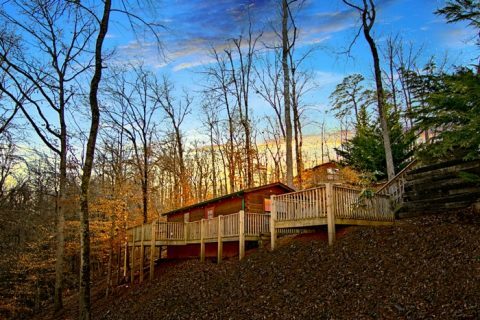 Book your cabin near Tanger Outlet and Pigeon Forge online with Cabins USA and get an immediate Online Discount!